Prepare for Summer Vegetables Right Now! With this season's deluge of wet weather, thoughts of a bountiful summer harvest might seem far away. However, the emergence of some buds in trees and slightly higher day and night temperatures serve as a gentle reminder that spring is imminent. With this in mind, there are a few things you can do right now to help ensure a successful summer vegetable harvest. Good preparation, thoughtful cultivar selection and consideration for the overall ecology and health of your garden are the foundations of a productive outcome. 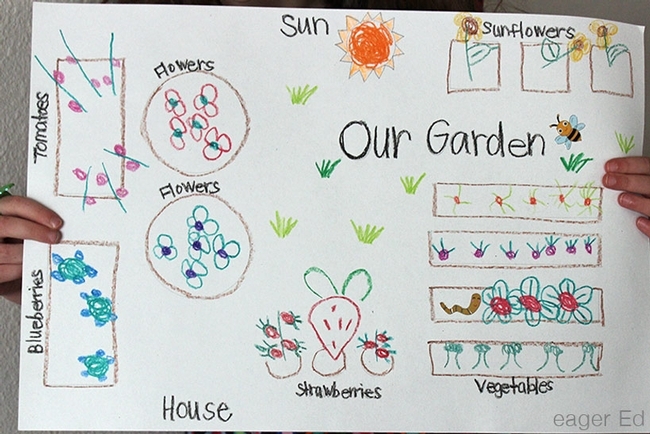 Draw up a simple garden plan to help organize your activities. Decide what you will plant and when so you can maximize space, rotate crops and insure your crops have enough time to complete their growth cycle before the next season. 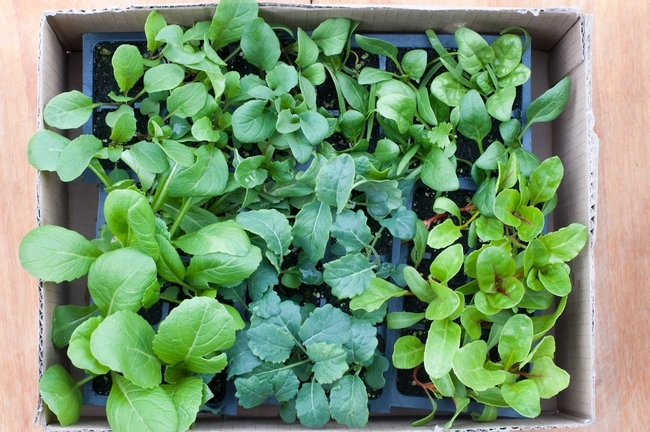 Radishes, for example, grow quickly whereas autumn squash might need several warm months. A plan can also guide you in timely ordering of seeds and seed starting. 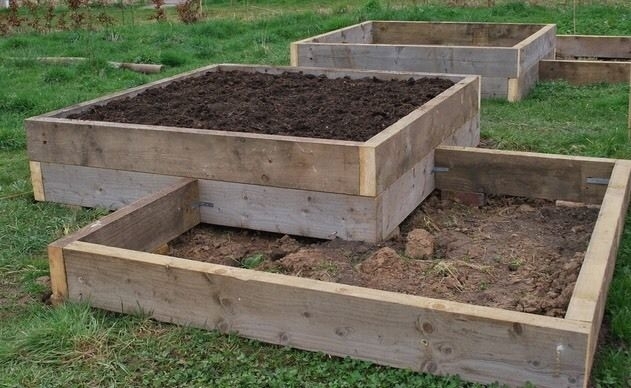 Consider, too, such things as construction or repair of raised beds and irrigation lines. Are your irrigation lines still viable after a season of limited or no use? Repairing or replacing them over the next few weeks can help insure your garden is in shape for summer. Get weeds out now while they are easy to pull. 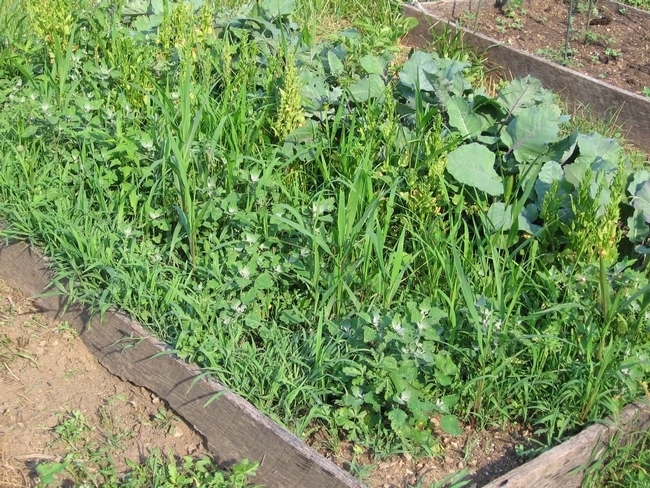 Consider planting a cool-season cover crop such as fava beans or peas. These quick-growing legumes can displace weeds, add nitrogen to the soil and serve as a component in your crop-rotation scheme. As a bonus, they are edible. After you harvest the pods, chop the greens and use them as mulch to improve soil tilth. Their extensive root systems can help break up compacted or heavy soils so you don't have to till wet soil, which is definitely not a good idea. What to plant? With Napa Valley's Mediterranean climate, many summer vegetables feel right at home in pretty much any part of the county. 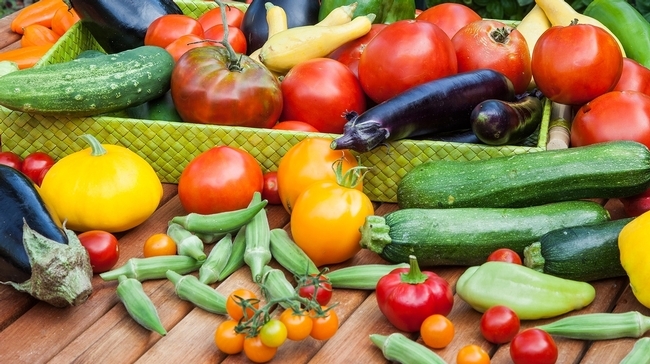 Tomatoes, peppers, squash and corn are favorites in many local gardens. Of course, you should take into account your particular microclimate—any shady or windy areas, for example. Local nurseries have a good selection of vegetable seeds and starts, but also consult specialty catalogs for heirloom vegetables and new hybrids that look enticing. 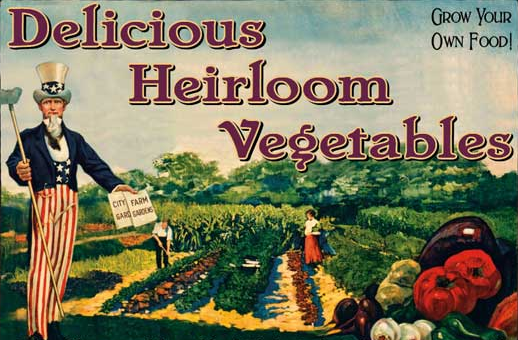 Many heirlooms have exceptional disease resistance, flavor and overall hardiness. What's more, you can save their seeds for next year's crop, thus reducing your gardening expenses and increasing the diversity of your harvest. Hybrids have to be started from new seed every year. Finally, consider the overall ecology of your garden. What can you do to improve it? Adding compost now can help prepare the soil for your transplants. Earthworms and other soil microorganisms will get started on making your soil a better host for the upcoming guests. And while your main focus might be vegetables, consider planting other plants as pollinators. 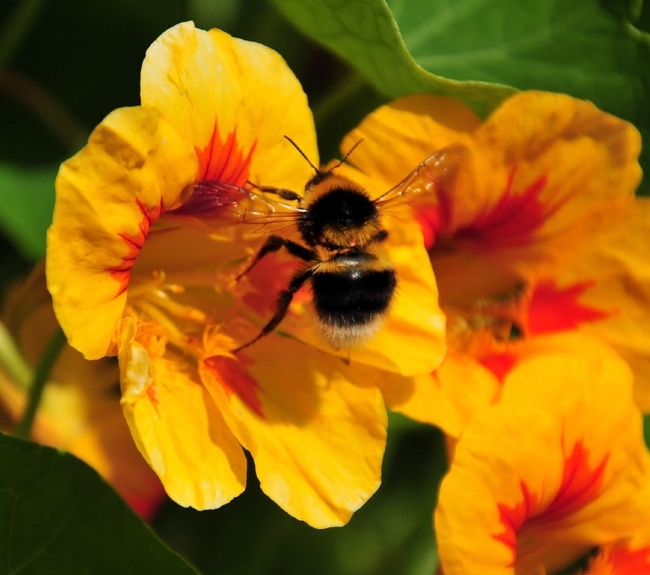 Nasturtiums can add color to your garden and serve as a resource for pollinators. And their edible blossoms can add a peppery note to salads. Blooming herbs and sunflowers also attract pollinators, which will increase the bounty of your harvest. Birds appreciate these plantings, too, and help keep pest populations down so you don't have to resort to harmful pesticides. We avid gardeners look forward to a bountiful summer harvest. With a bit of planning now, we increase our chances of success. Workshop: U. C. Master Gardeners of Napa County will host a workshop on “Growing Summer Vegetables” on Saturday, March 11, from 9 a.m. to 11 a.m., at University of California Cooperative Extension, 1710 Soscol Avenue, Napa. 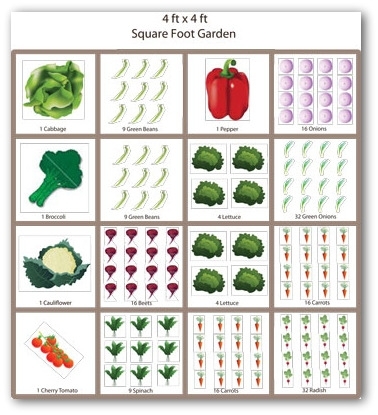 Learn what the garden needs to successfully produce spring and summer vegetables from seeds and seedlings. The workshop will cover soil types and preparation, temperature essentials, watering, fertilizing and harvesting, with a dash of integrated pest management. Online registration (credit card only); Mail-in registration (check only or drop off cash payment). Garden Forum: Join the U. C. Master Gardeners of Napa County at a forum for home gardeners on Sunday, March 12, from 11 am to 1 pm at Yountville Community Center, 6516 Washington Street, Yountville. Bring anyquestions about anything in the home garden. Questions about fertilizing, watering, planting, plant care, diseases and pests, tools and tool care or nursery purchases are welcome. Register with Yountville Parks & Recreation or contact 707-944-8712.